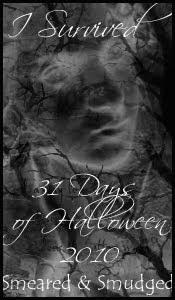 The 31 Days of Halloween, Season 4, with Smeared and Smudged is finished. 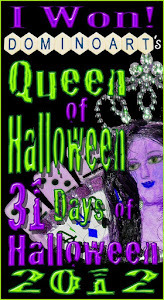 Daily prize winners are listed here in the right sidebar and the grand prize winner is supposed to be announced sometime today! TIC-TAC-TOE? 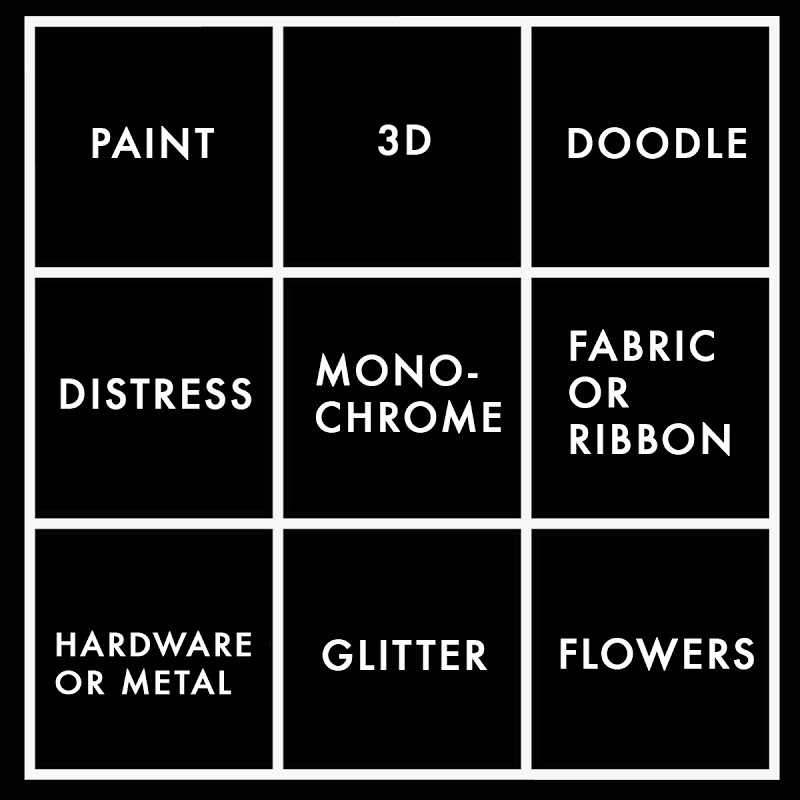 Just pick any three items in a row from the grid below. You can go up and down, across, or diagonally. Please make sure to list which three items you have used in the making of your project and use at least one stamped image ("real" or "digi"). So i went with the left hand row...... 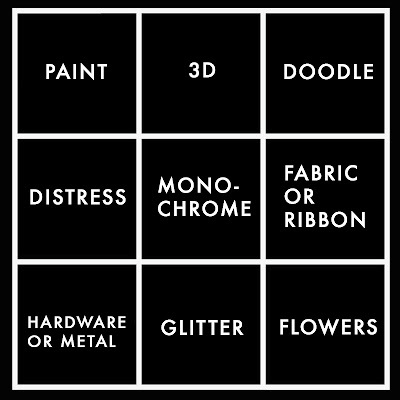 PAINT, DISTRESS, HARDWARE/METAL. 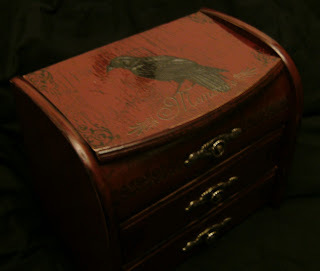 i stamped the raven from SMEARED INK onto very thin paper and adhered it to the lid.....(there is also one on the underside of the lid. 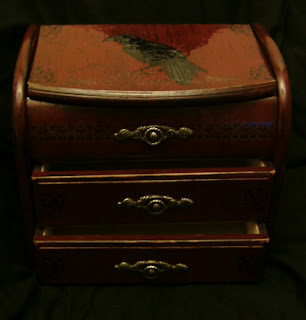 )I stamped 'memories'under the raven so it appears he's standing on the 'm'.... i then stamped small scrolls in the corners of the lid and onto the drawers..... then i carefully sanded all the edges back to bare wood in places....just enough to make it look well used.... 3 coats of vanish finished it off. Wow - looks wonderful. Its hard to imagine it was pink in the beginning. 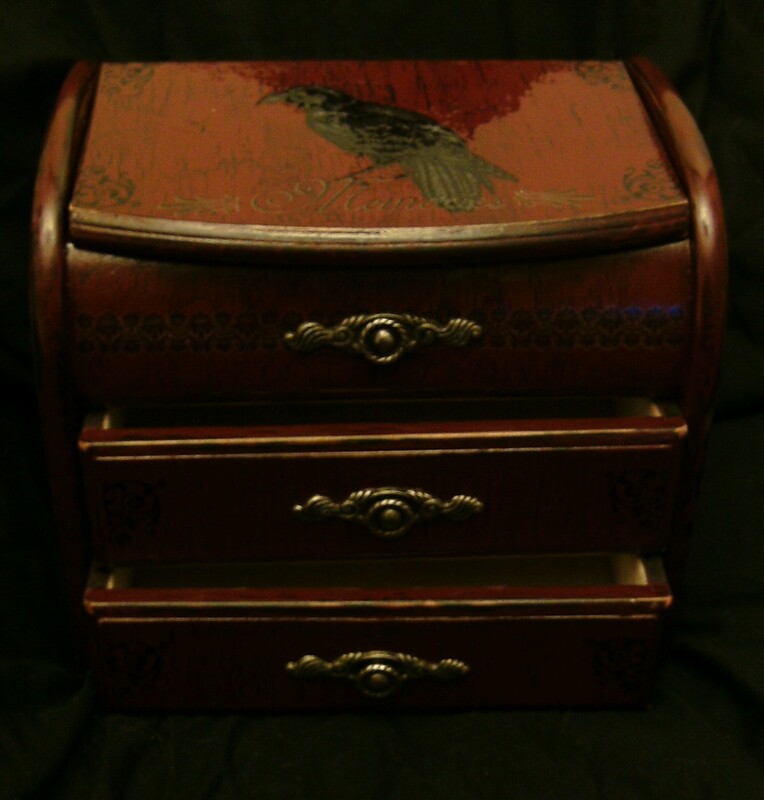 Amazing musical jewelry box. Thanks so much for joining us at Tuesday Alchemy. 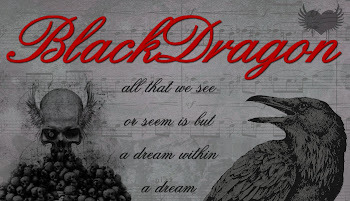 OMG, this piece is FANTASTIC!! 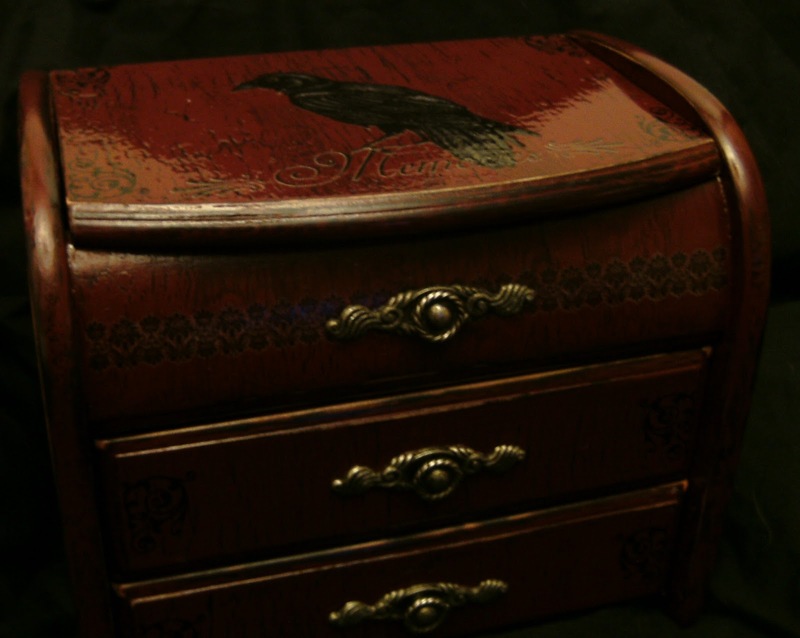 It looks like aged wood, and your colors are fabulous. No way would I have ever guessed it started out pink. The transformation is amazing!! Oops, I was so smitten with this piece that I forgot to thank you for playing along with us at Tuesday Alchemy! LOL! You always manage to make your projects so pretty and this is not an exception! Wonderful make over of your pink box. I love the raven stamp on the top and how he stands on the letter M. Wouldn't mind this one myself to be honest!! Thanks for joining us at Anything But A Card again and we do hope we'll keep seeing you. Again you have outdone yourself with this fabulous creation.. just gorgeous! So glad you joined us at Anything But a Card!